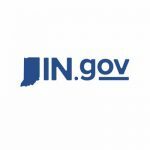 The latest report from the Indiana State Budget Agency reported general fund revenues for January totaled $1,496.5 million, which is $39.1 million or 2.5 percent below state estimates from a December 2018 revised revenue forecast. January’s revenue totals also were $108.5 million or down 6.8 percent when compared to January 2018, according to the state. The state said Indiana experienced lower-than-expected tax collections from individual income taxes, which weighed on net general fund revenues as other collections came in line with estimates. The state said monthly fluctuations are expected and revenues are better interpreted within the context of the longer term trend for fiscal year 2019. January state sales tax collections totaled $756 million for January, which is $1 million or 0.1 percent below December 2018 estimates but $13.3 million or 1.8 percent above revenue in January 2018. While it is early to identify the specific impact of the state enforcement of the recent changes in the taxation of remote sales on the fiscal year-to-date tax collections, the number of registrations of remote sellers have increased relative to the same period over the last two years, the state said. Individual income tax collections totaled $662 million for January, which is $36.9 million or 5.3 percent below earlier estimates and $146.7 million or 18.1 percent below revenue in January 2018. Tax collections last January 2018 were higher mostly due to there being five Fridays that month. Corporate tax collections totaled $5.9 million for January, which is $5.3 million or 788.1 percent below previous state estimates but $15.2 million or 71.9 percent above revenue in January 2018. The state said riverboat wagering collections totaled $28.3 million in January, which is $600,000 or 2.3 percent above the monthly estimate and $5.2 million or 22.3 percent above revenue in January 2018. Racino wagering collections totaled $9.7 million in January, which is $800,000 or 8.5 percent above the monthly estimate and $6.8 million or 237.7 percent above revenue in January 2018. The state said year-to-date general fund collections totaled $9,016.5 million, which is $11.7 million or 0.1 percent below the December 2018 revised revenue forecast but $314.5 million or 3.6 percent above collections through the same period in the prior fiscal year. Year-to-date sales tax collections totaled $4,721.5 million, which is $28.5 million or 0.6 percent above the December 2018 revised revenue forecast and $189.9 million or 4.2 percent more than collections through the same period in the prior fiscal year. Year-to-date individual income tax collections totaled $3,329.2 million, which is $55.3 million or 1.6 percent below the December 2018 revised revenue forecast and $120.6 million or 3.5 percent below collections through the same period in the prior fiscal year. The state said year-to-date corporate tax collections totaled $373.6 million, which is $13.1 million or 3.6 percent above the December 2018 revised revenue forecast and $195.5 million or 109.7 percent above collections through the same period in the prior fiscal year.